Wondershare Filmora9 is a film editor which is made for everyone. The software is for all those people who don’t have time and resources to learn the complexities of the video editors. Sound tools – This is one of the best features of this software. It allows its users with premium sound features like keyframing, equalizer and background sound removal. All these features will ensure that your videos have the perfect sound. These features allow adjusting the audio clip directly on the timeline by adjusting the waveform. The audiokeyframe tool is very helpful in customizing the sound of the video. Keyframe button is located at the bottom of the Master volume controller. Import multiple videos – Filmora9 allows its users to import multiple videos all at once. So you can combine many videos together to create a unique story. The software allows its users to take full control of their videos. 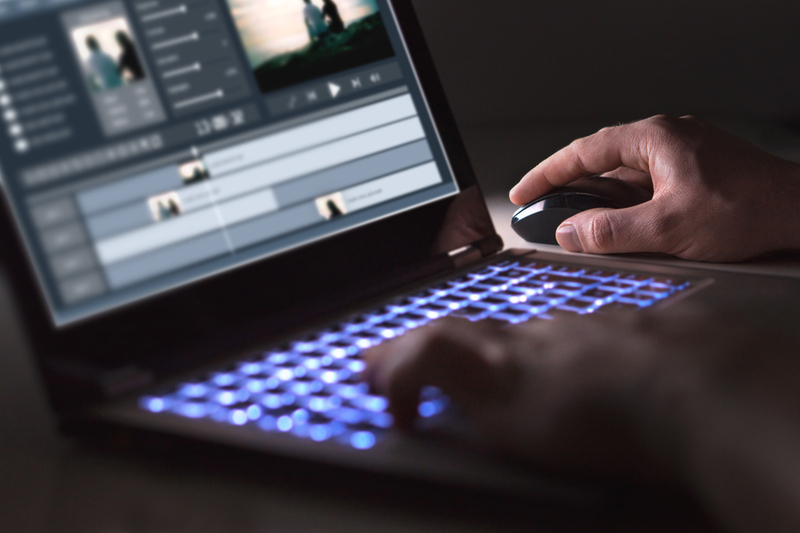 Filmora9 offers its users to utilize up to 100 layers of media which video editors will love. You can manage your track with the help of track manager. Filmora9 also allows adjusting the height of each track and deleting empty tracks easily. Great video stabilization – Filmora9 comes with a new feature which allows smoothing out the shaky video with stabilization tool. After importing the shaky footage, you just have to click on the clip and choose the stabilizer, which will automatically scan the timeline and will allow you to smooth level from 1-100. It is more like pan and zoom action. If you increase the smooth level, the program will perform a zoom in action and vice versa. Chroma key- Chroma key or green screen effect is one of the vital features of video editing software. Fortunately, with Filmora9, it is very easy to use. It offers more control of the background to its user. Adjustable playback quality –Filmora9 allows its users to reduce the resolution of their video preview to offer the smooth editing experience without even affecting the quality of exported videos. This feature is very helpful for those who edit videos on low-end PC. The feature will prevent any lag issue each time when a user previews his clip. Roxy workflow- Large video files are heavy for the computer, and they cause lag. The software allows you to edit the video with smaller ‘proxy’ clips in order to offer a smooth user experience. To set up the proxy Workflow, you will have to go to Filmora9 Preferences and then performance to check the option you need. It is especially helpful when your computer is too weak to edit the huge projects. Full 4k support – Filmora9 supports 4k videos so as to present extraordinary clarity of each frame to its user. Now you can edit 4k videos with Filmora9 without affecting the quality of the videos. Direct social sharing – This is one of the best feature of the Software especially for those who are regularly posting on YouTube and other social media. After completing the video editing, the next obvious step is to upload the video to social media. Filmora9 allows you to do it from the software itself. It’s very helpful when you are short on time, and you don’t want to go through the process of exporting the video and then uploading it from the browser. It gives you the same uploading feature as you get uploading for the YouTube directly. Action camera tools – The software offers action camera tools to its users to fix the problems related to action cam like fisheye and camera shake. It also allows you to add effects like Slow motion and reverse. Filmora9 is great to edit your recorded adventure so that you can present your adventure to others in a more impressive way. Countless Video effects – The software offers many filters so that you can make your video impressive. You just have to select the filter and drop it to the timeline. Additionally, it also provides overlay functionality to its users which make the video more attractive. It also provides copyright free songs so that you can freely add music to your video. The software is available for the freetrial for a certain duration, and after that, you will have to pay $39.99 and $ 44.99 for a one-year subscription for Windows and Mac respectively. For lifetime access you will be charged $59.99. Filmora9 is a great update of its predecessor. With advanced features, the software allows its users to edit their video as they like. The software has all the necessary tools that a professional video editor should have.